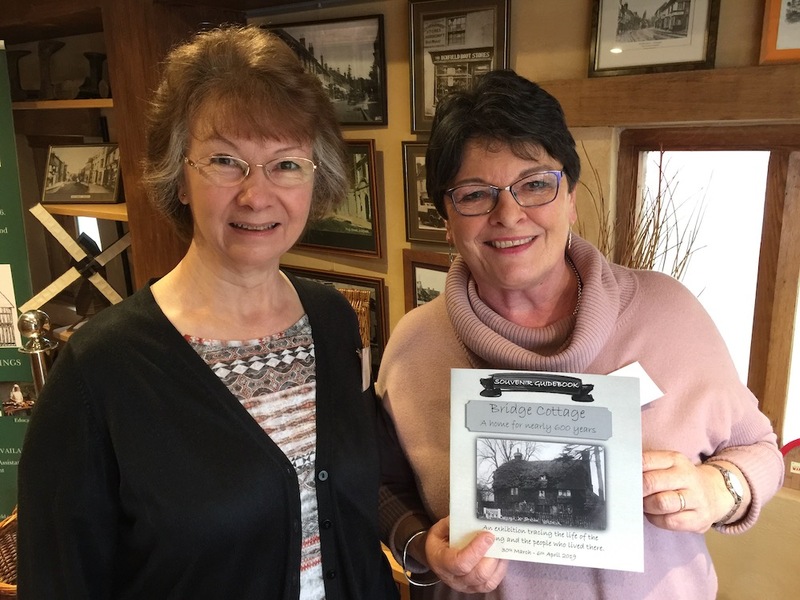 Bridge Cottage volunteers Andrea Gooch, and Angela Vaughan Parry show one of the booklets produced for an exhibition about the life of the building and the people who lived there. An exhibition about Bridge Cottage and the people who lived there can be seen at the cottage until Saturday. And it is fascinating, writes Cathy Watson. There are drawings to show how the cottage would have looked when it was a grand Wealden Hall House and photographs taken through the 1900s to its later run down years. 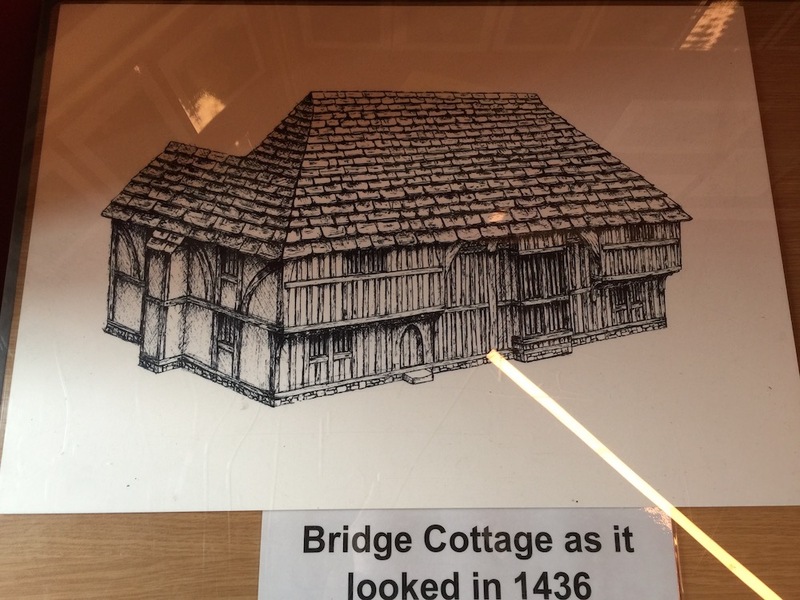 An exhibition illustration showing how Bridge Cottage would have looked in 1436. Repairs being undertaken at Bridge Cottage in 1976. 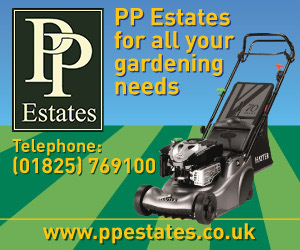 Once there was a lawn in front of the cottage with greenery and a bowls club behind. The exhibition shows all. 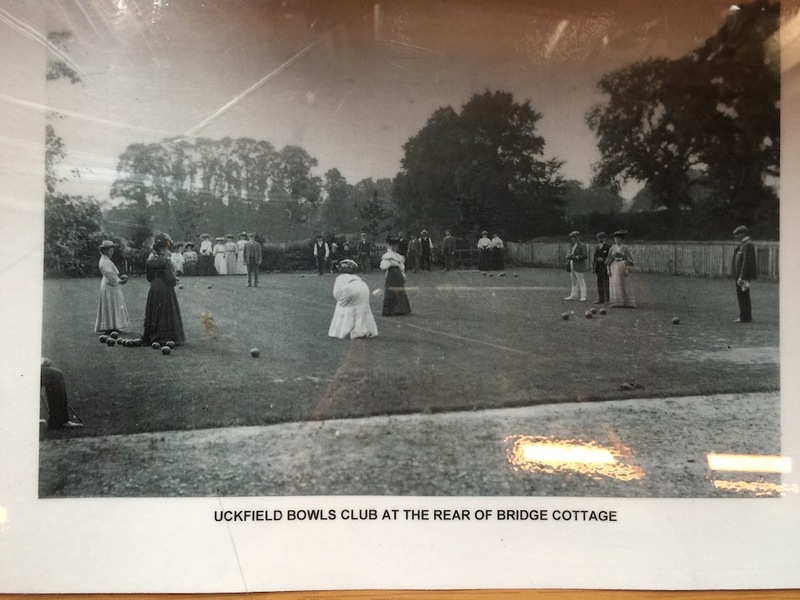 Long gone, a bowls club behind Bridge Cottage. Memories are interspersed among facts about different eras with names of residents, taken from censuses, listed. One story told is about two men – one of them a Bridge Cottage resident – who lost their lives after being swept away when Uckfield flooded. Did you know that Bridge Cottage was once tile-hung? 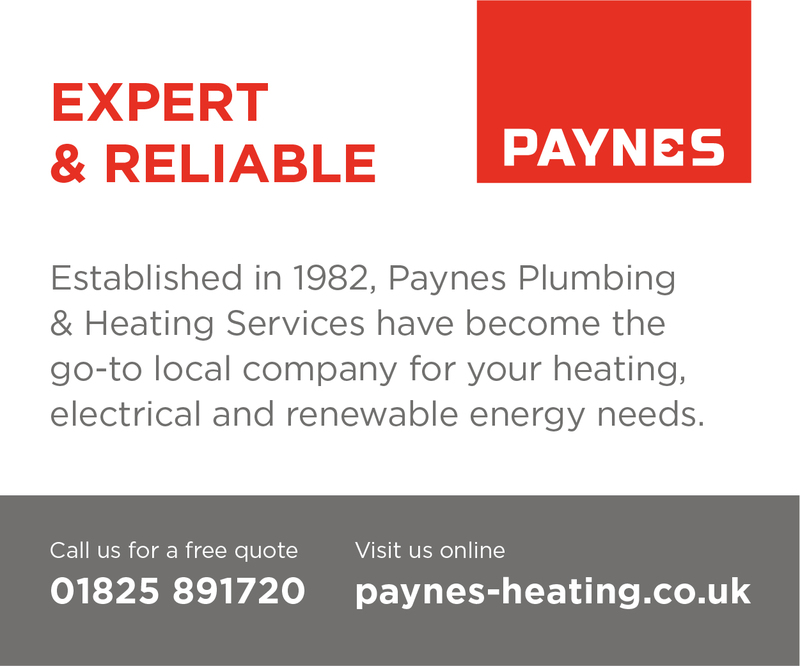 It was only when the tiles were removed in 1976 and 1977 that the medieval timbers, so familiar today, were revealed. 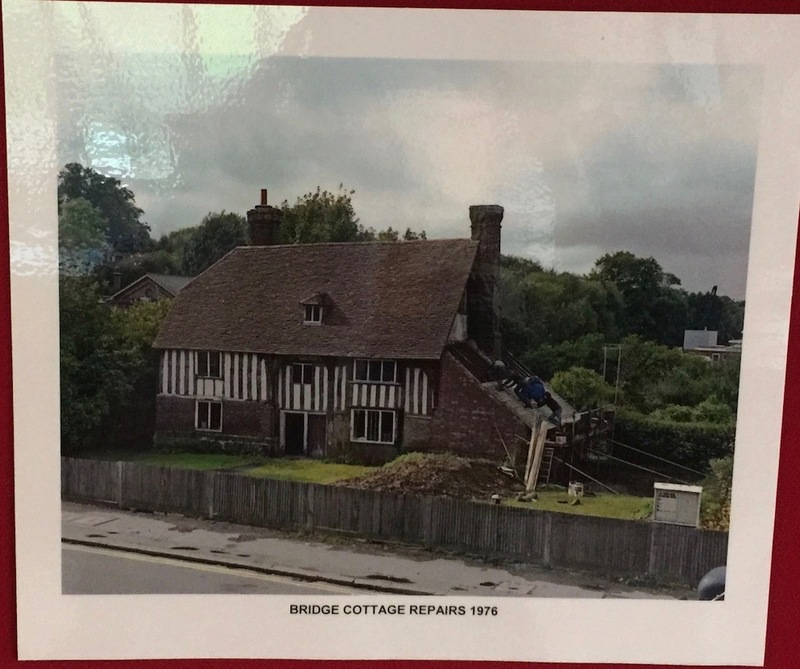 Bridge Cottage came close to demolition but was saved by Uckfield Preservation Society and Uckfield Town Council. After many years of fund-raising it was restored for the town to its current superb state. During restoration all sorts of facts were discovered about its history and they are recorded in the exhibition. 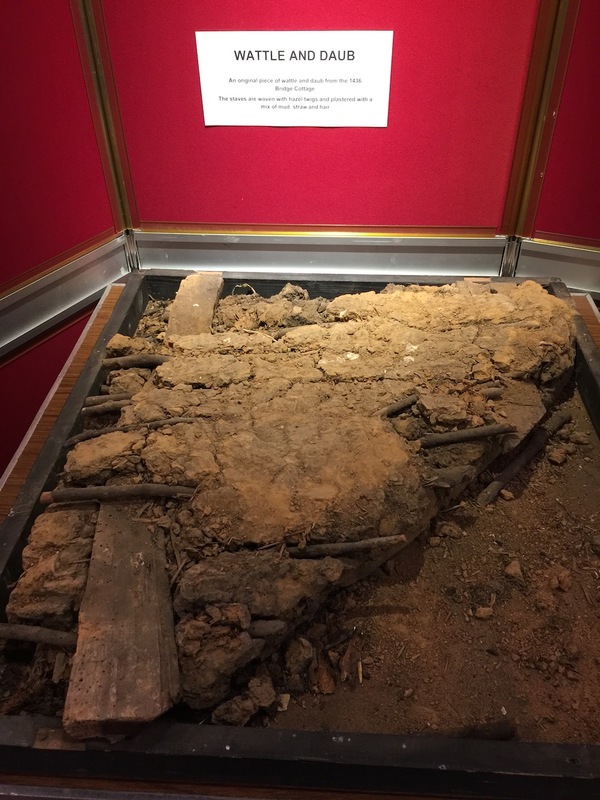 You can learn how its timber joints were put together, see a chunk of wattle and daub from its walls, and broken bottles found beneath a stone hearth which would have been placed there to deter witches and the devil from coming down the chimney. 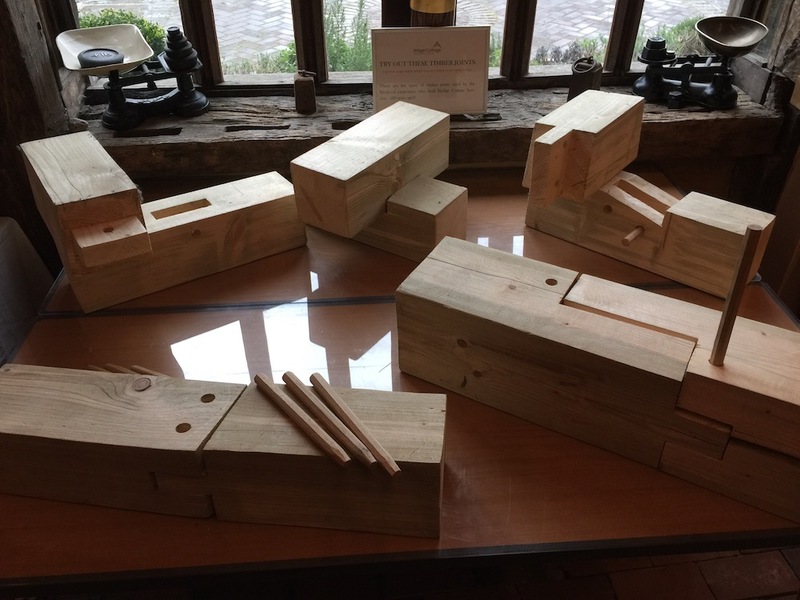 Try your hand at putting together timber joints at the exhibition at Bridge Cottage. Wattle and daub from the original 1436 Bridge Cottage. 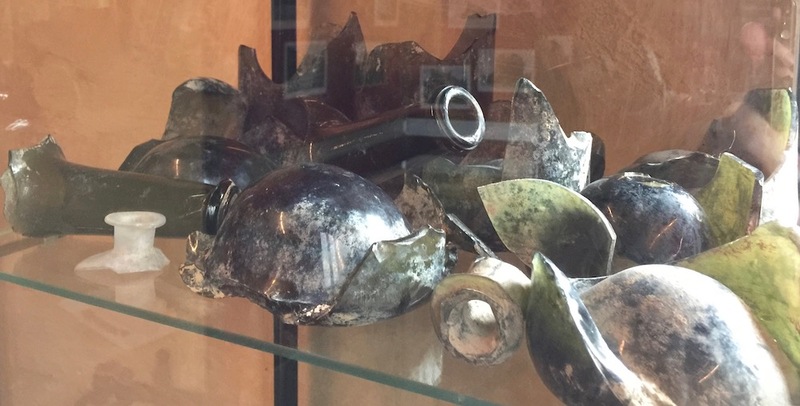 Broken bottles found beneath a stone hearth at Bridge Cottage – possibly put there to deter witches and the devil from coming down the chimney. The exhibition is open each day from 10am until 4pm and it’s well worth a look. See how the fortunes of its residents changed from those who were wealthy and influential in the early days to the ‘paupers’ of 1851. Information about residents has been collected right through to 1966 when Bridge Cottage was vacated for good. A booklet has been published to accompany the exhibition and very detailed information about Bridge Cottage people is included on its pages.